Dawn Foods supplies a complete line of quality, consistent mixes, bases, icings, glazes, fillings, frozen dough, par-baked and fully baked products and equipment to the food industry — worldwide. Their food production facilities are where the magic happens and protecting the delicious desserts from water intrusion is critical to the quality of bakery products. Hertel said it took some time for him to get approval for a new roof, but when he finally did, he wanted a system that would withstand the high foot traffic and be resistant to the greases that can come out of the exhaust systems on the roof. 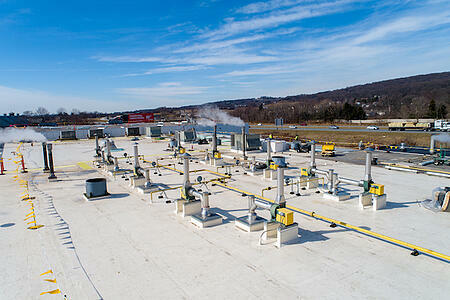 The facility has to check their systems on a daily basis, and they are all located on the roof. He said some of the other plants had installed TPO roofs, but he was searching for a system that would provide the highest puncture resistance possible and the best protection against grease. FiberTite Roofing Systems provide superior resistance to volatile exhaust from animal fats, cooking oils and greases. The systems are also engineered to withstand severe weather and environmental forces. 45-mil FiberTite-SM features an 18 x 19 / 840 x 1,000 denier weft reinforced polyester knit fabric, coated with a proprietary compound, utilizing DuPont’s™ Elvaloy® Ketone Ethylene Ester (KEE) as the principal polymer in the hybrid vinyl alloy coating. The membrane is coated on the face with Seaman Corporation’s original “KEE” formulation to provide superior hot air welding characteristics, extreme UV resistance, broad chemical resistance and long-term flexibility and reparability for the installed roofing membrane system. 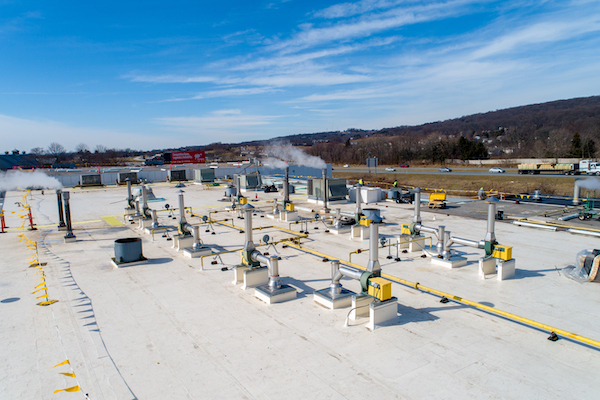 Installation began in 2018 and the Heidler Roofing crew faced a challenging installation, having to work around the many penetrations, curbs and vent pipes, not to mention the record amount of rainfall that fell in 2018. 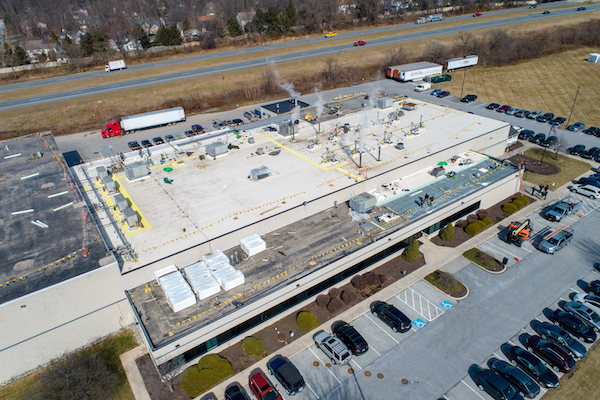 After removing the ballasted EPDM system, the crews installed fully-adhered, three-inch polyiso insulation followed by an adhered layer of DensDeck to ensure maximum durability against the high volumes of foot traffic. The membrane was then fully adhered, and seams welded to ensure watertight protection for the plant. “The roof comes with a 20-year system warranty, but the longevity of the system will be well past those 20 years,” concluded Cooper. This project profile was written by a contributor from Roofers Coffee Shop.